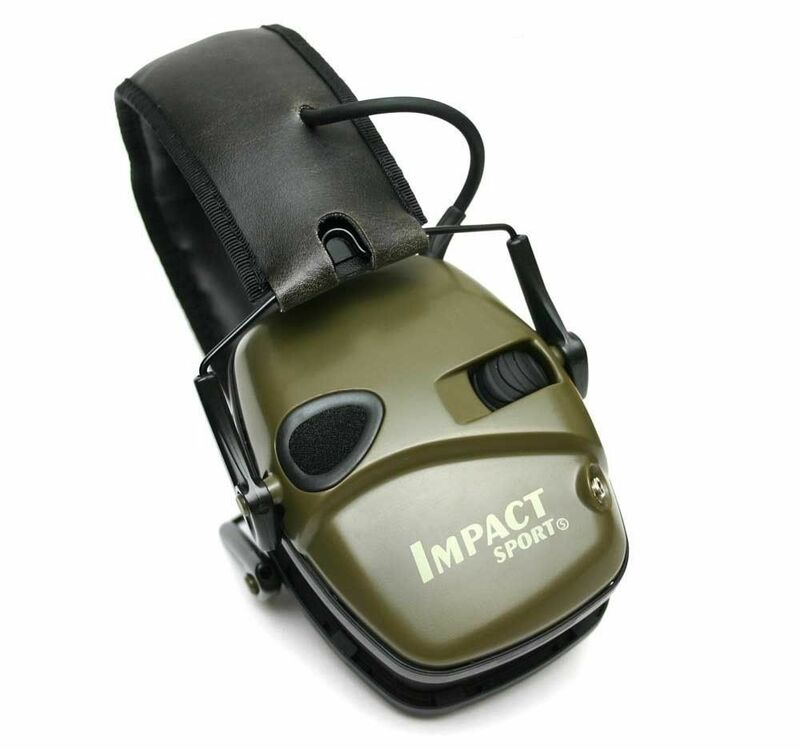 With built-in microphone, the Impact Sport captures and selectively amplifies commands and other important sounds. Plug in your iPod and enjoy your favorite music in full stereo and without outside interferences. 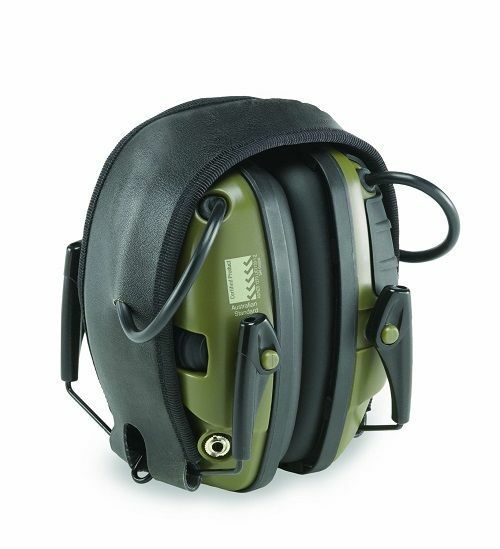 For your ears protection, the Impact Sport actively listens and automatically attenuates whenever harmful sound levels exceed 82dB. An external audio input jack allows you to plug-in your IPOD or other audio source. 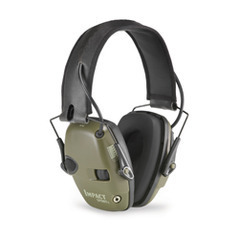 Howard Leight R-01526 Impact Sport has a black leatherette headband with hunters' green ear cups, a snap-on battery compartment lid for quick and easy battery change. It comes with 2 AAA batteries that last you amazingly long time.